Camelot is a continuum therapeutic foster care provider for the Tennessee Department of Children’s Services (DCS). We are always looking for qualified families (which we will fully train, reimburse, and support) to care for the children referred to us by DCS as a placement match is made. Camelot takes extensive measures to match children with a licensed therapeutic foster home based on the strengths, experiences, and preferences of the foster families. Information is shared with the foster parent(s) about the prospective foster child and, when possible, pre-placement visits are arranged for the family to meet with the child. The children referred to Camelot are in the state of Tennessee’s custody through DCS for an assortment of reasons and stay in our continuum for different amounts of time. Sometimes they have had several previous failed foster home placements or are ready to be discharged from residential group home care back into a family setting. Some of the children have goals of returning home to their parents if conditions are corrected. Others are teens who have goals of independence, which means they need a stable home until they are ready to move into adulthood. Some of the children we place have a goal of adoption and need a home which is willing to provide a permanent “forever family” in the form of adoption. As part of its on-going foster services, Goodwill Homes has many components to its foster care program. Programs include level I and II foster homes, adoption services, in home follow up care, complete foster care management services, foster parent training and approval, foster parent support and ongoing training. Other services provided are referral and follow up to counseling, TBFCT therapy, and other mental health services. Trauma affects long term well-being, health, education and success in life. Meritan aims to protect children in state foster care systems from having less than a full life, but cannot achieve our goals alone. Meritan specializes in this medical and therapeutic support, keeping families together, and safe households for children and pregnant teens. We find families, train resource parents (foster parents) and oversee care. We serve all ages, although, there is a profound need every day to help an older child. Porter-Leath is a non-profit social services agency that was established in 1850 in Memphis, Tennessee. The agency provides care to children and youth in a foster home setting with the support of a 24-hour case management staff. In addition, Porter-Leath has a licensed residential treatment facility for youth ages 13 – 17 with on-sight residential monitors and clinical staff that’s able to meet the youth’s needs through various evidence-based programming. Porter-Leath’s staff is trained in the areas of trauma informed care and aggressive replacement training to meet the needs of today’s youth through individual, group, recreational and family counseling. Therapeutic Interventions, Incorporated is a child placing agency providing therapeutic foster care and foster-to-adopt services to children and families in the following areas of Tennessee: Clarksville and surrounding areas, Middle Tennessee, Cookeville and surrounding areas, and much of West Tennessee. We are recruiting families to help nurture, and sometimes adopt, our children who have experienced trauma as a result of abuse and neglect, as well as the trauma of being taken from families, relatives, friends and their communities. We work with families of all faiths, religions, cultures and do not discriminate based on race, gender, sexual orientation, marital status (single parents are welcome) or any other federally protected class. At Youth Villages, we help people who care about vulnerable children in their community do something great: become wonderful foster parents. Being a foster parent is incredibly rewarding, but it isn’t easy. When foster parents choose Youth Villages, the deciding factor is most often our commitment to giving every parent the support they need to be successful. Our training is extensive, and our counselors are there for foster parents 24/7 to give advice, consultation and practical help. We provide extensive training, monthly foster parent support groups, child therapy, and monthly financial reimbursement. If you feel a calling to be a foster parent, we can help you make a difference in a child’s life — and your own. 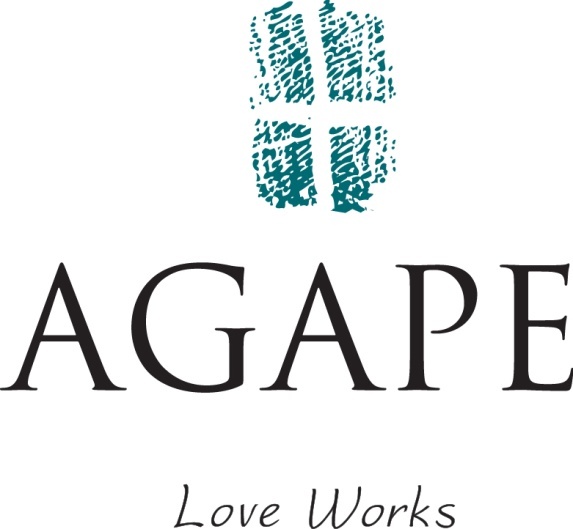 AGAPE has provided Christ-centered foster care for over fifty years. We believe it is the responsibility of the church and the mission of AGAPE to minister to children and their parents in crisis. Our goal is to assist Tennessee DCS in caring for each child, as Christ has called us, to provide love, understanding, education, and compassion. 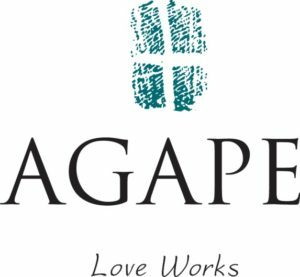 AGAPE is looking for foster parents who will foster in accordance with our Mission and Purpose to reunite children and families, when possible, and be an option for children who need a forever home. Our professionally trained social workers will guide you through the complete process when you are ready to begin. Since 1893, Monroe Harding has continually adapted to meet the needs of children who have been abused, abandoned, or neglected and are in, or transitioning out of state custody. Today, we are a healing community for youth and families as they move beyond trauma to experience hope. Monroe Harding provides support, security and a chance for success through four programs. 1) Foster Care services include recruitment, ongoing training, and 24/7 family support to ensure successful placement. 2) Cooperative Living, a residential program for adolescent males 15-18, provides holistic care, education, counseling, and life skills. 3) Independent Living provides safe, affordable housing and support for young adults aged out of foster care. 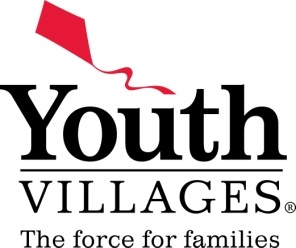 4) Youth Connection Resource Center assists youth with education, job skills, financial education, and practical needs. Chambliss Center for Children is a non-profit organization that has been caring for children in Chattanooga for 145 years. 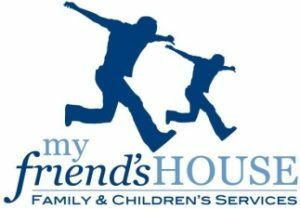 The children and youth in our Residential Program reside either in the agency’s group home or in foster homes throughout Hamilton and the surrounding counties. Serving primarily sibling groups and teenagers, the goal of our program is to help young people deal with past trauma and to find a permanent, loving home, whether through reunification with the birth family or through an adoptive placement. Holston United Methodist Home for Children is a ministry of the Holston Conference of the United Methodist Church. Holston is a non-profit agency that strives to provide hope and healing for a brighter future by sharing the love of Jesus Christ with children and families struggling with life’s challenges. Holston provides foster care throughout East Tennessee with offices located in Greeneville, Johnson City and Knoxville. Currently, Holston is in need of foster families willing to serve school aged children (especially teenagers), sibling groups and children with medical needs. We believe all things are possible through Christ and that lasting change comes from caring relationships. generous stipend to help cover the expense of raising a foster child; and trauma informed care and practices. Partnership focuses on providing a safe home and responsible caregiver to help each child develop positive social, educational and emotional skills, enabling youth to discover their strengths and potential for future success. For over 90 years, Smoky Mountain Children’s Home is a private, faith-based, non-profit Foster Care agency that provides hope and healing to children and families through local churches in all denominations. We are dedicated to achieving excellence and will use our knowledge and resources to advocate, enrich, and empower the lives of children and families living out our call. Childhelp, a non-profit Foster Family Agency serves children and families in Knoxville and the surrounding regions. Childhelp is licensed by the state to serve Level 1 and 2 children and youth. Their ministry began in 2004 when they placed their first child into the arms of loving foster parents. Over the last 13 years, Childhelp has been an integral part of connecting over 130 children and youth with permanent families, many of which were sibling groups. Childhelp has a heart to see individuals respond to the Bible’s call to care for orphans and vulnerable children. (James 1:27). 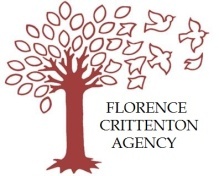 With a mission to strengthen communities through effective prevention and treatment services to children and families, the Florence Crittenton Agency has been a community leader since 1896. In addition to residential treatment for adolescents, intensive outpatient treatment, and an onsite school, we provide comprehensive foster care services for youth and families. The children and youth we serve have been exposed to trauma, such as death of a family member, neglect, human trafficking, abuse, violence, transient home life, et cetera, and we train staff and foster parents thoroughly to address the needs of this special population. We look for parents who are willing to be strong individuals for the children and youth who are coming into their home. Crittenton Foster Care provides extensive support to these children and youth and their foster families to ensure emotional, physical, social, and mental stability and growth. 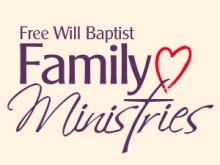 Family Ministries is a faith-based therapeutic foster care child placement agency operating in Greeneville, Tennessee. Our Mission is “To meet the needs of children and families by seeking to unify and preserve the family in order to share Christ and instill Christian values.” Our Foster Parents at Family Ministries strive to create a Christian family atmosphere. We believe providing a loving and stable home environment is crucial to a child’s physical and mental health, ensuring they become successful and productive citizens. Family Ministries is always seeking to find Christian couples and/or individuals who have a desire to become a foster parent and change a child’s Heart forever! The Helen Ross McNabb Center’s Therapeutic Foster Care and Adoption Program serves children and adolescents who are in the custody of the state due to abuse or neglect, and who suffer from behavioral or emotional problems. These children need a more specialized type of care than what can be provided in a regular foster home. Therapeutic Foster Parents help these special children meet individualized goals with the help of a comprehensive network of support. Along with our professional staff, the Center relies on a core group of volunteers to help support the Center’s mission and daily operations. There are ample opportunities for people to volunteer that vary in commitment level and interest. Whether through becoming a foster parent or volunteering, everyone is invited to be a part of the McNabb mission of improving lives in our community! dedicated to making a difference in the lives of children in need, ages 0 to 18. We provide specialized training to our foster parents who have committed themselves to providing loving, stable homes. This enables them to have the skills necessary to ensure optimal emotional, physical, social, psychological, spiritual and intellectual growth for the children to whom they are nurturing. 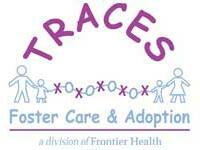 TRACES offers competitive pay, frequent respite, on-going training, in-home case management and 24 hour on-call support staff. For 25 years, TRACES has given children hope and opportunity for a successful future through encouragement, guidance, stability and love. We believe that permanency can happen both through building bridges of support back home and through adoption when family resources are absent. Due to being a smaller agency, we are able to establish a very close knit family- like atmosphere, as evidenced by the longevity of many of our parents.